The photographer says: It was -20F two days ago. I had to be out in that weather, but not to worry, I am prepared. Thing is, no matter how bundled up you are, there are hazards to being out in that sort of temperature. You wear a scarf to protect your skin, but then your breath stays closer to your face. 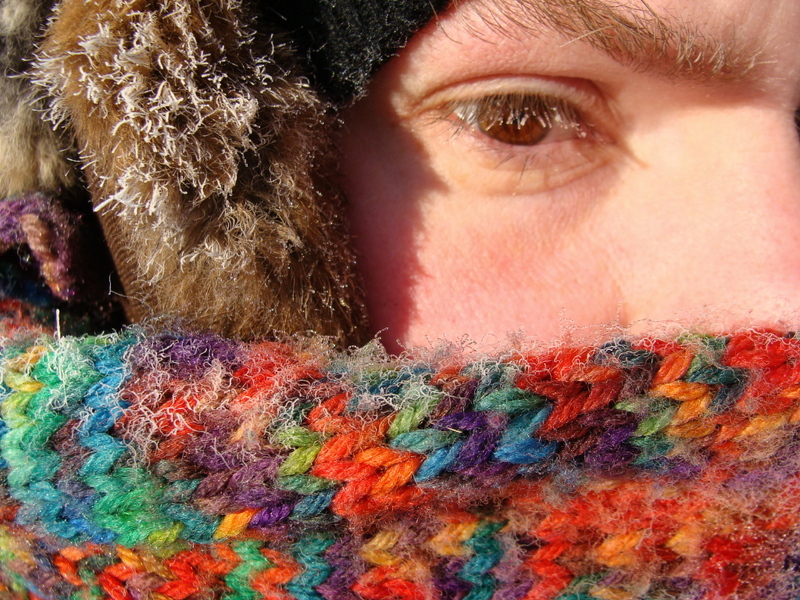 In this sort of weather your breath freezes to your eye lashes and anything else it comes in contact with. And since I had to walk a couple blocks there was plenty of time to ice up.